Fibo Wall Panels are now available in the United States through a partnership between Innovate Building Solutions and FiboUSA. A solution for wet areas sure to turn heads as much for its beauty as its ability to solve tough problems, builders, developers, designers, architects, remodelers and do-it-yourselfers (DIYers) can solve tough wet room challenges with Fibo Wall Panels. These panels are perfect for bathrooms, showers, laundry rooms and kitchens. The cost effective product is hygienic and instantly waterproof. Best of all, it comes in a wide variety of styles and colors. 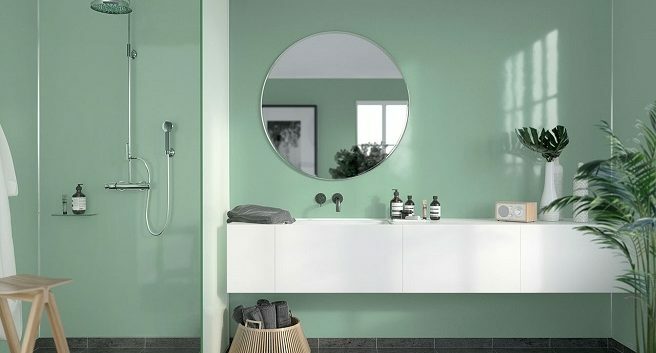 Use these panels in styles as varied as Mid-Century Modern, to Traditional, to Minimalist to Modern Farmhouse bathrooms. 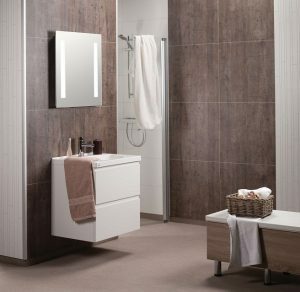 The Fibo collection incorporates the latest trends in tile designs, finishes and interior surfaces for walls including shabby chic, cracked cement, wood grain, tile and more. These large-format faux tile designs are available in a wide range of modern sizes – 24” x 12”, 24” x 18”, 24” x 24” and 12” x 16”. Innovate Building Solutions is a nationwide supplier and installer of unique building materials. 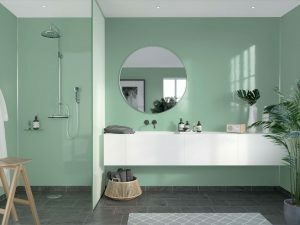 Their product lines include Fibo waterproof wall panels, glass block showers, custom shower pans and even glass floors, stairs and countertops. For more information, call 877-668-5888 or visit www.InnovateBuildingSolutions.com.